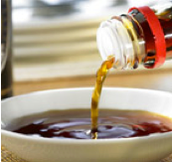 Japanese soy sauce is, as you know, used to season a lot of different kinds of food in any occasion. here are little and big bottles between 150ml and 1.8L for your convenience. There are different kinds of miso paste available at Japan Mart. 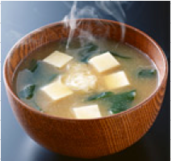 The most common kinds of miso are shiro (white) miso and aka (red) miso. Apart from miso paste, we have a variety of instant miso soups which help you make miso soups easily, as well as cooking for everyday meals. 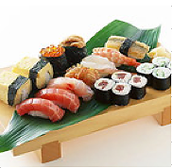 We sell a wide range of seafood and products for sushi from tuna, sliced squid, and prawns to vinegar, wasabi, seaweed and bamboo mat. We also provide all-in-one sushi sets (wasabi, vinegar, soy sauce, seaweed, bamboo mat, seasoned ginger) at a reasonable price. and Genmaichan (roasted rice tea), all of which are provided as leaf and powder as well as tea bag. We also sell Japanese tea (PET Bottles) at Japan Mart. 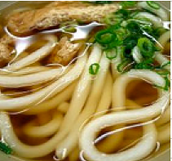 We have a wide range of Japanese noodles here, Soba, Udon, Ramen, Somen and so on, which are normally sold packing as dried, frozen, cup and package noodles. These products enable you to enjoy Japanese and restaurant taste at home. You can also purchase various sauces with your favourite noodles depending on your preference. 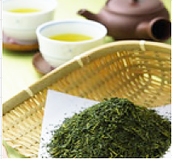 and Genmaicha (roasted rice tea), all of which are provided as leaf and powder as well as tea bag. 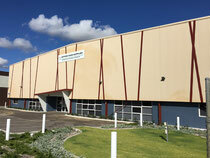 We also sell Japanese tea (PET Bottles) at Japan Mart.